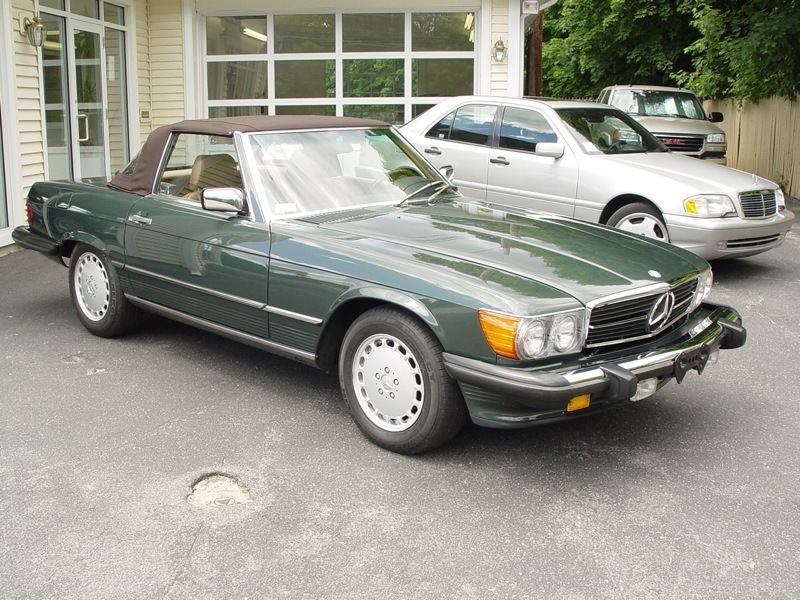 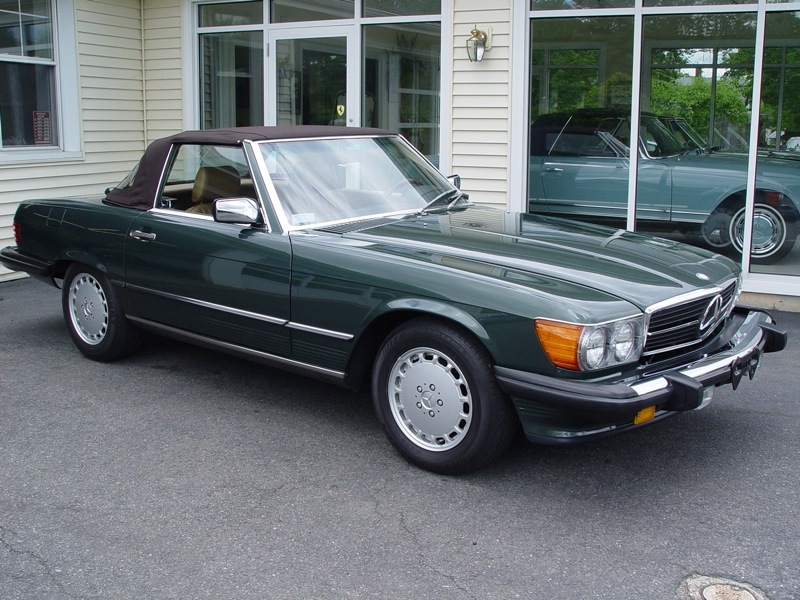 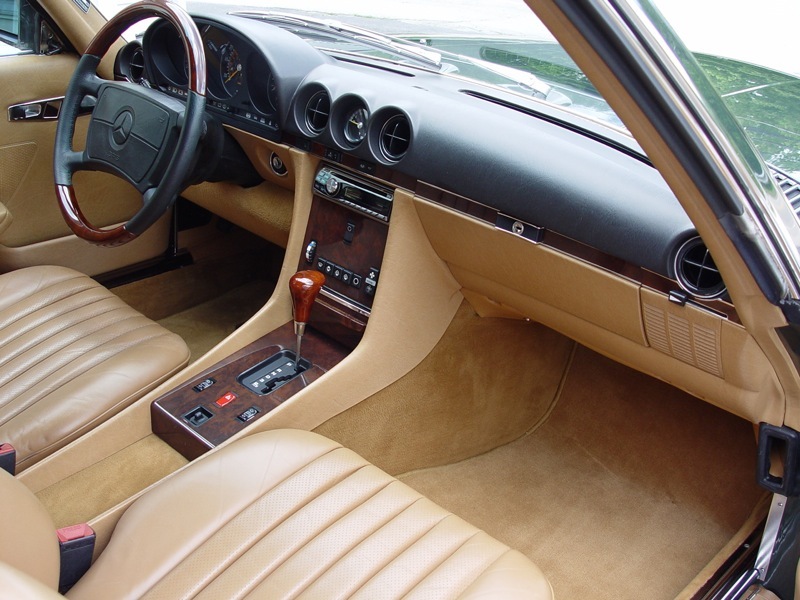 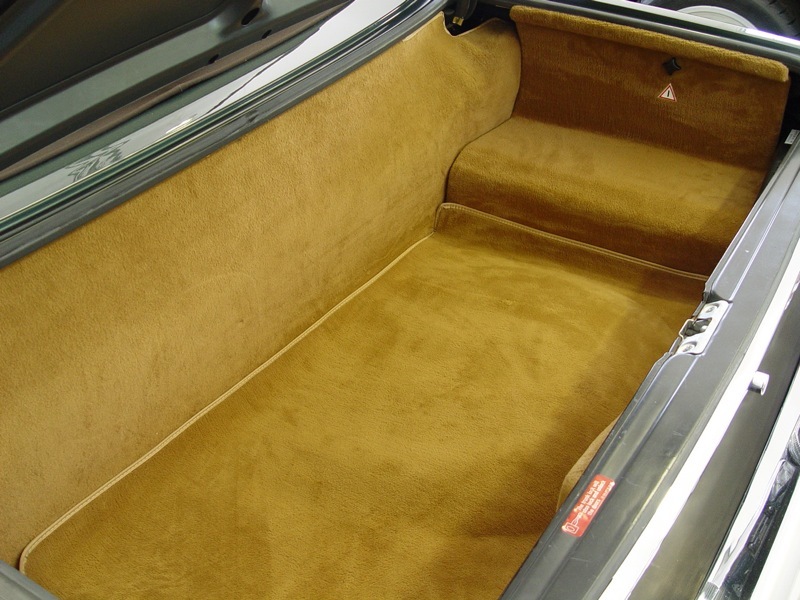 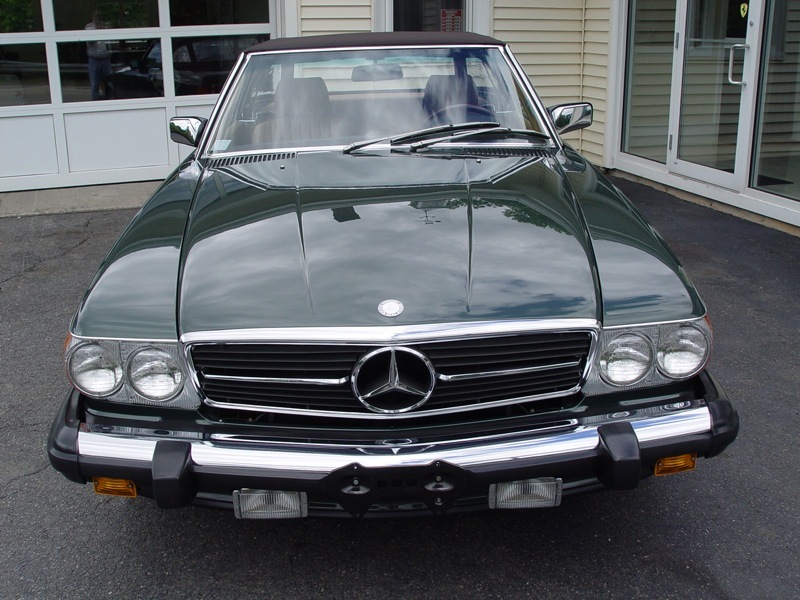 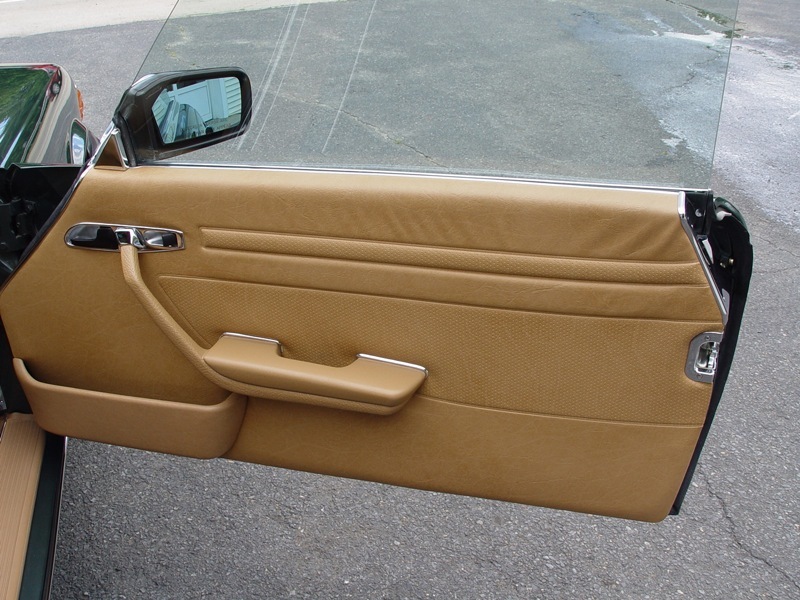 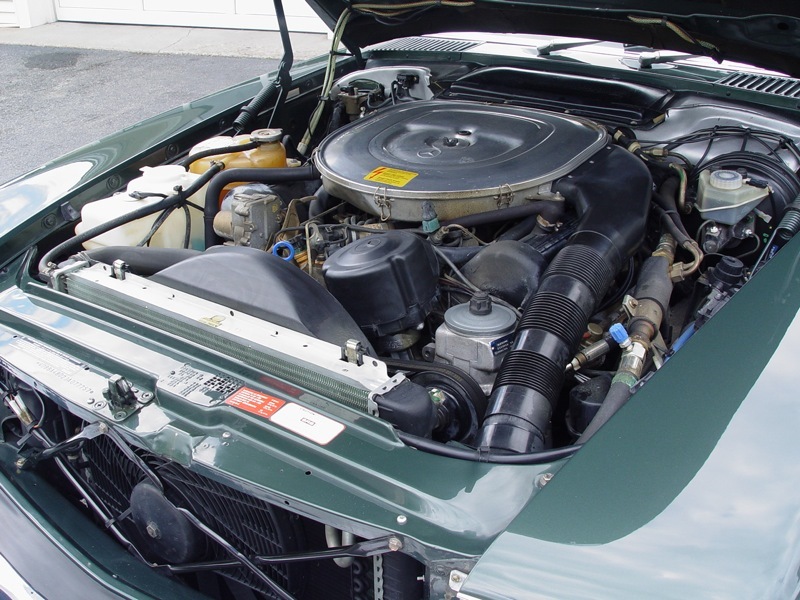 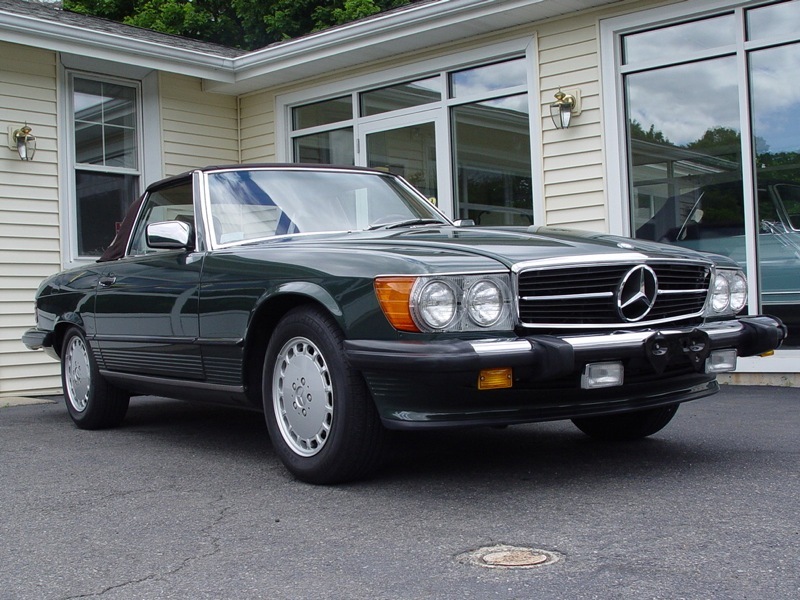 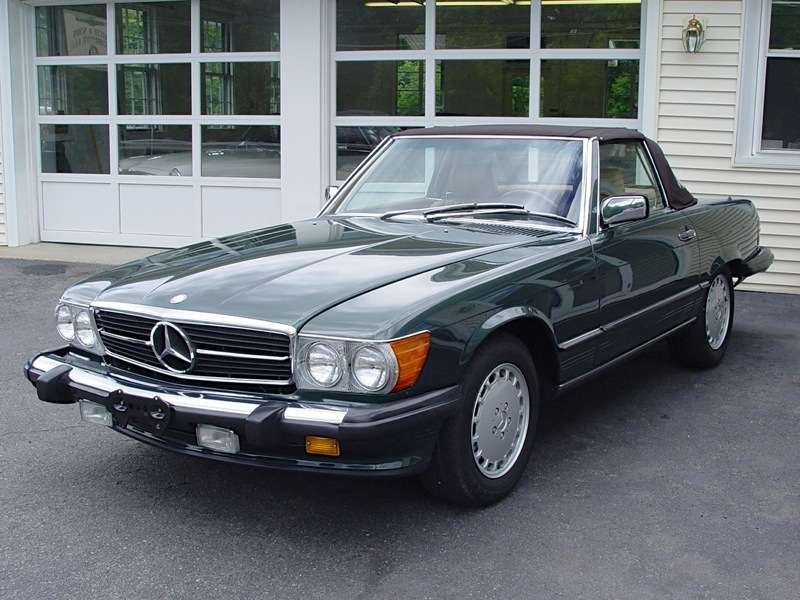 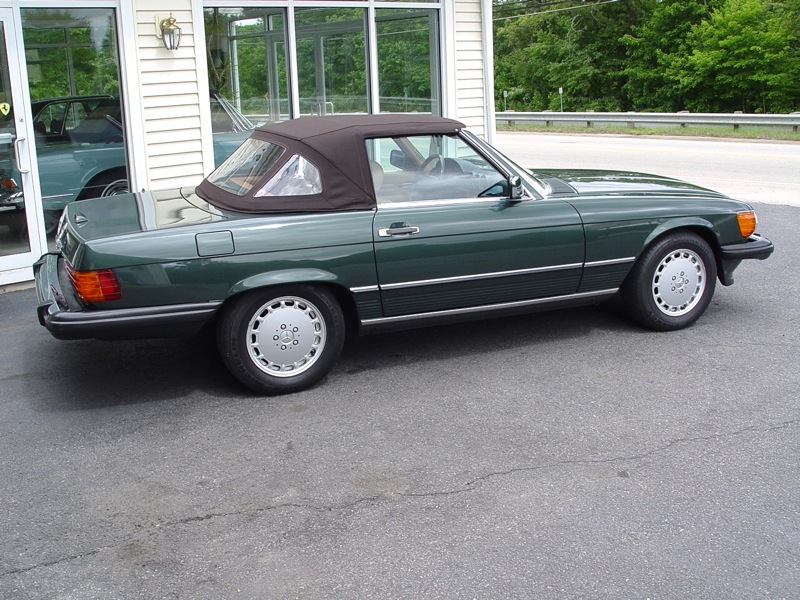 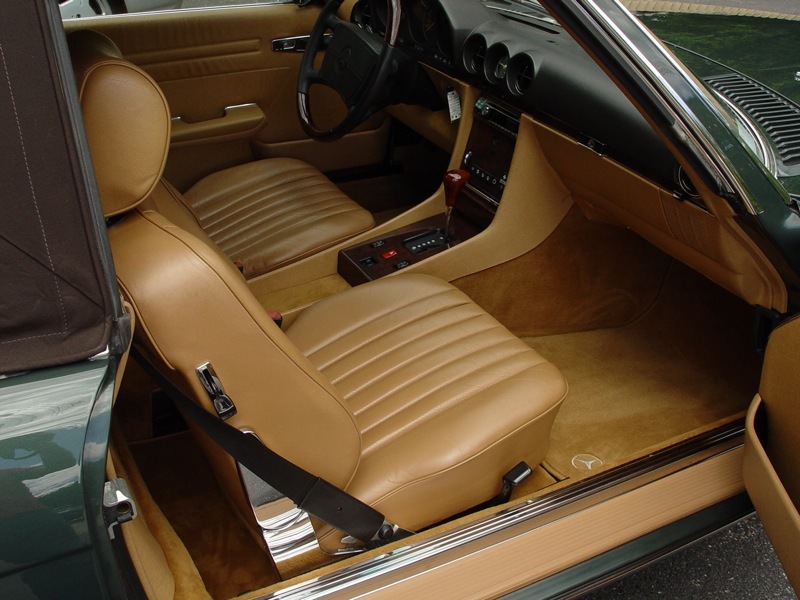 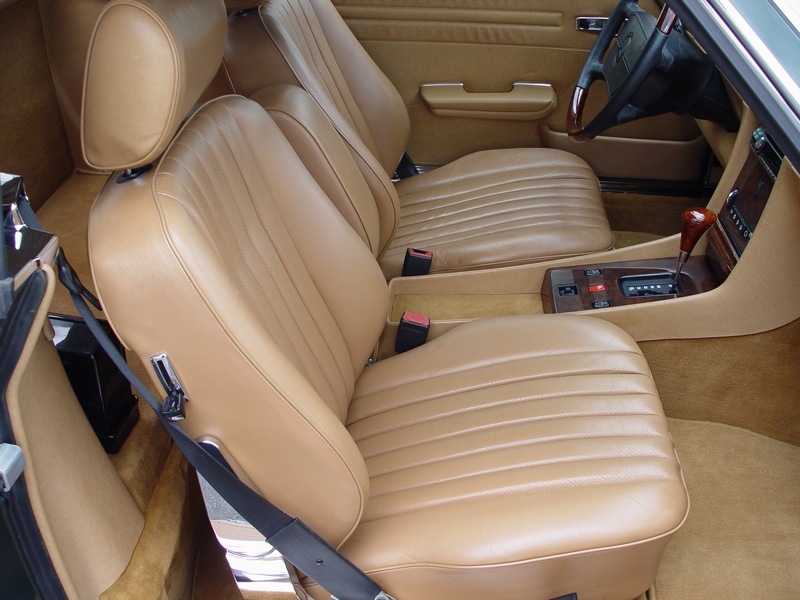 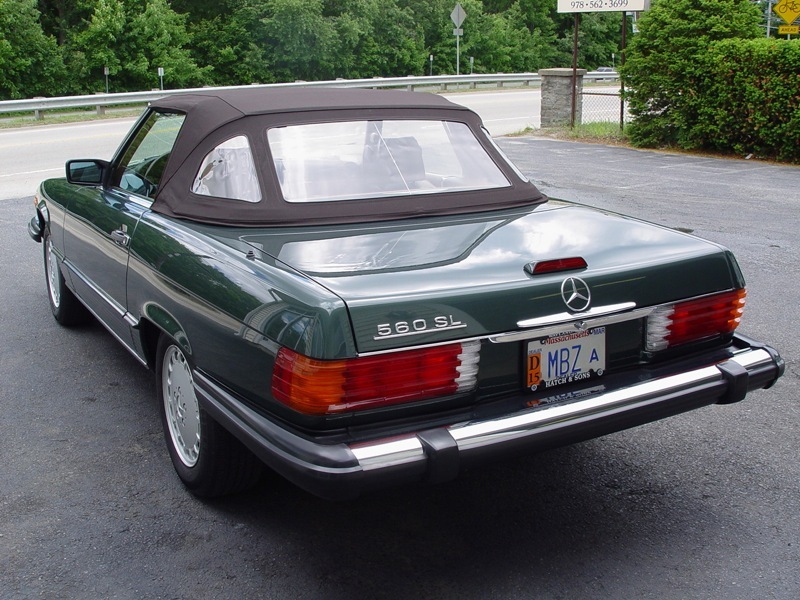 This mint original one-woman owner Mercedes 560SL features the very rare DB254 dark green metallic paint with a complementing Palomino Leather Interior. 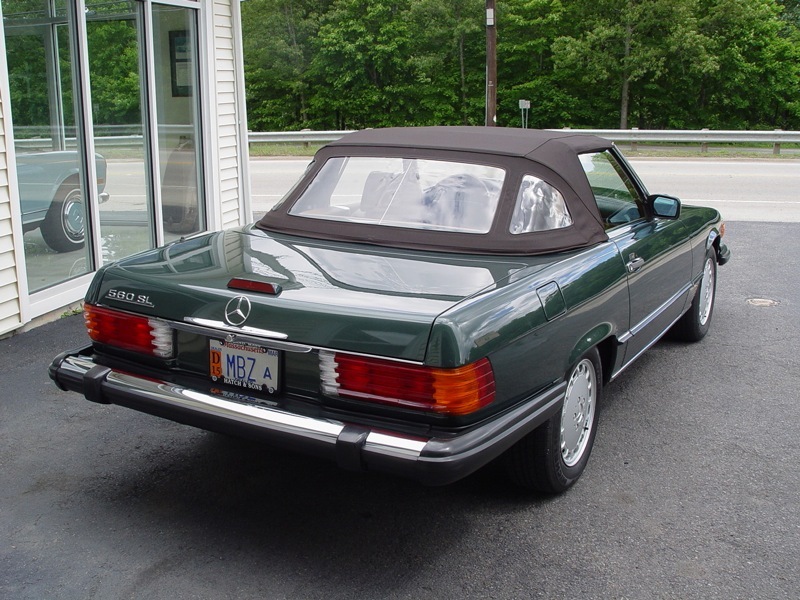 It was only driven in nice weather and it shows it! 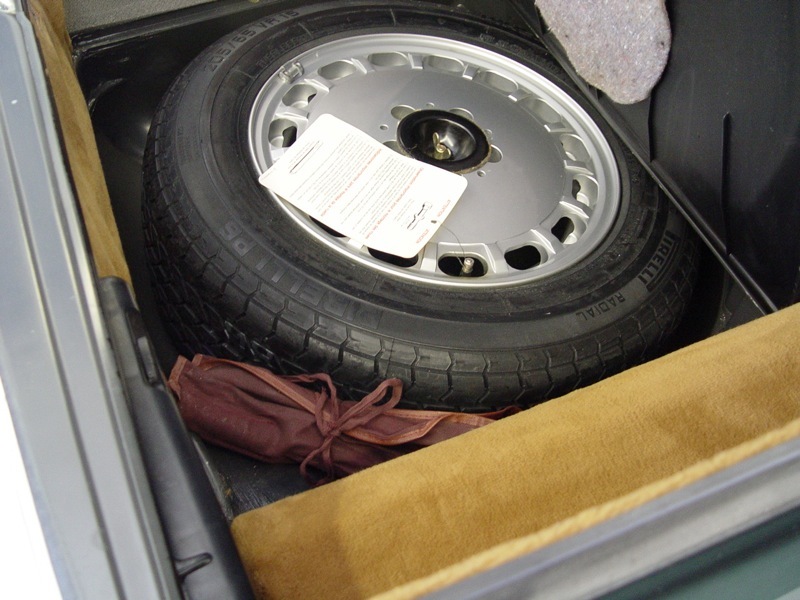 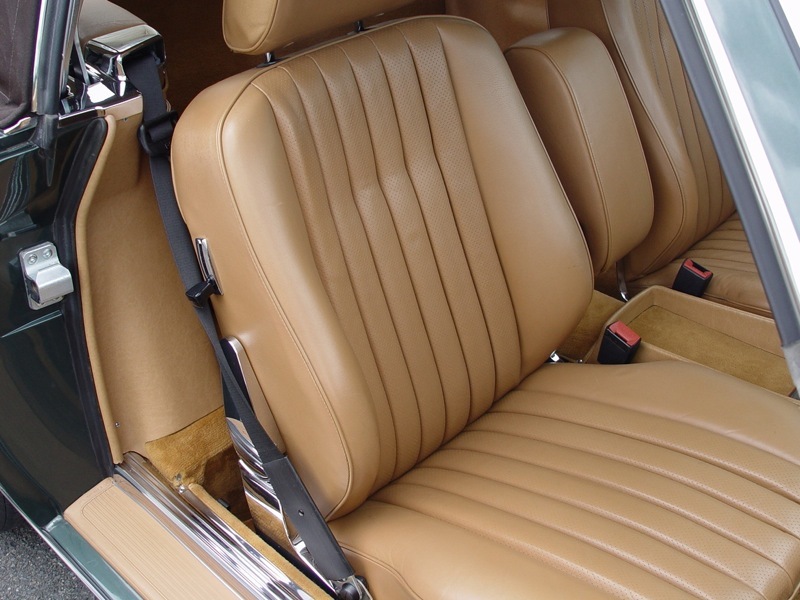 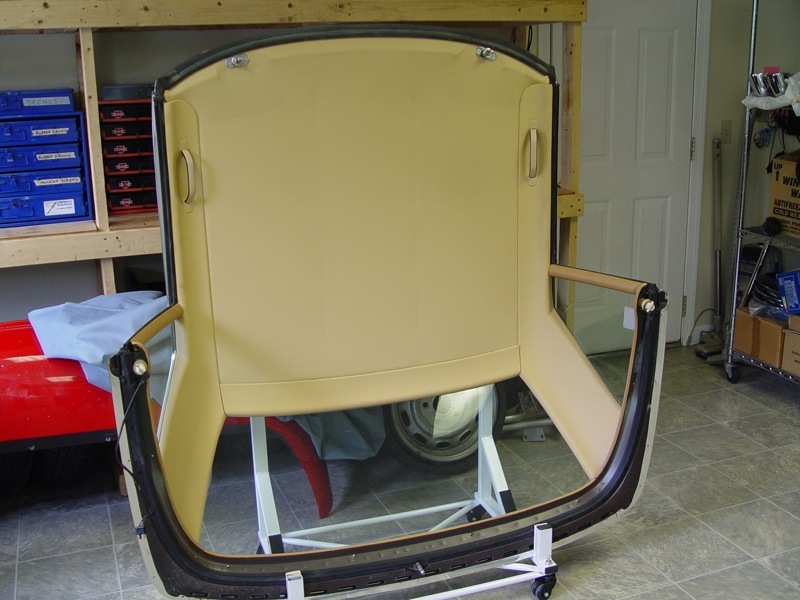 Comes with books, records tool kit and original spare never down, non smokers car. 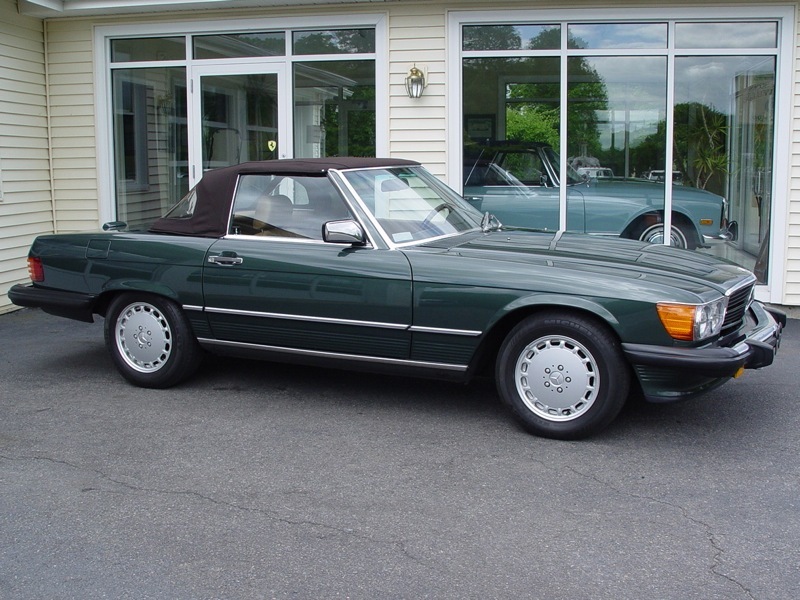 Looks, runs and drives like new. 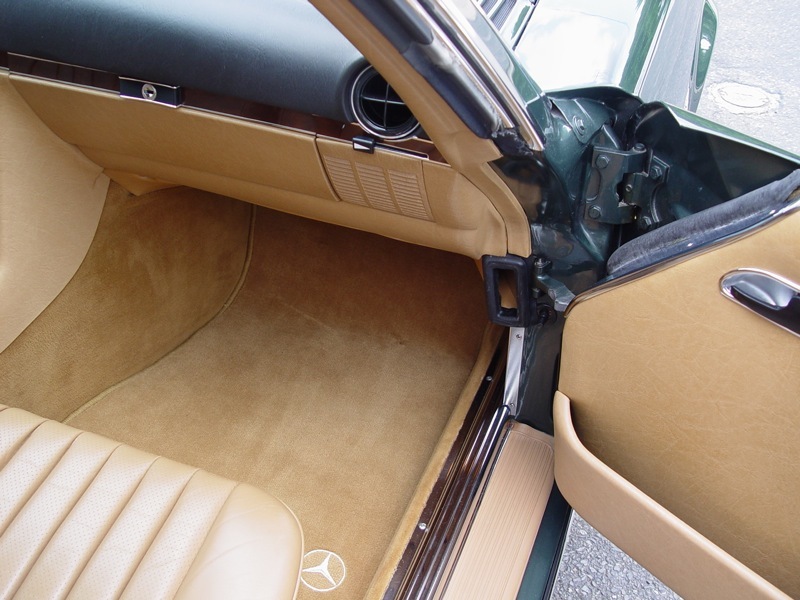 Serviced and Detailed to Our High Standards As Always.